We design and supply precision-engineered water & gas hoses that are known for their superior functional value, utility, performance and durability. These come in a wide range of specifications and confirm with establish industry standards and guidelines. All our products are checked and tested in-house as per the specifications. 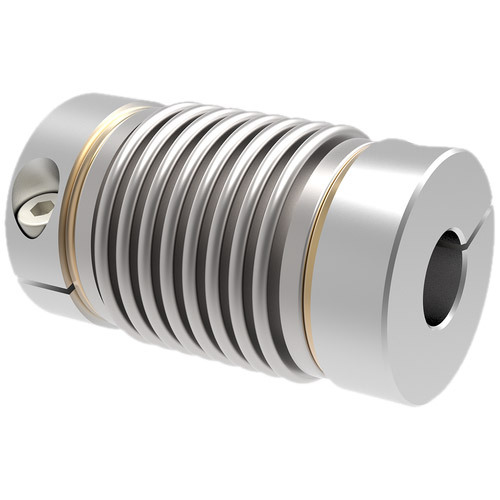 The design features and specifications include extensible flexible tubes made of stainless steel AISI 316L, UNI ISO 7/1, swivel female AISI 303, male fitting AISI 303 gas thread and gas thread 228/1. The joining of the parts is done using the TIG welding without any addition of material. All the products are designed and fabricated with fittings swivel female-swivel female. All the parts are subjected to rigorous sealing tests and vacuum heat treatment. High in quality, reliability and performance, these products confirm to regulatory standards and prescribed quality standards. The quality water & gas hoses supplied by us are used in various applications including supply of drinking water, gas supply to domestic appliances, cooking stoves, boilers, hot bath with maximum capacity of 35kW. Designed as per EJMA guidelines, the range of our standard METALLIC BELLOWS comprises of Bellows from 1/2" NB upto 12" NB, in single and multi-ply construction so as to withstand different working temperatures, pressures and movements. While, the maximum pressure rating of our standard bellow is 16 bar and temperature rating is 750 Degree C; we offer the recommended multi-ply bellows for high-pressure ratings. And we use superior grade stainless steel conforming to AISI 304, 316L and 321 specifications depending upon the working temperature and conditions. Since the cyclical life of a bellow depends upon the factors like extent of stress under optimum working pressure, temperature, axial and lateral deflection, it is always advisable to operate it well within the maximum design parameters - both deflection and pressure - for its longer life. And in order to meet the specific requirements of our clients, we not only adhere to both National and International quality guidelines but also conduct rigorous quality control checks at various stages of manufacturing - ensuring zero defect products to our esteemed clients.